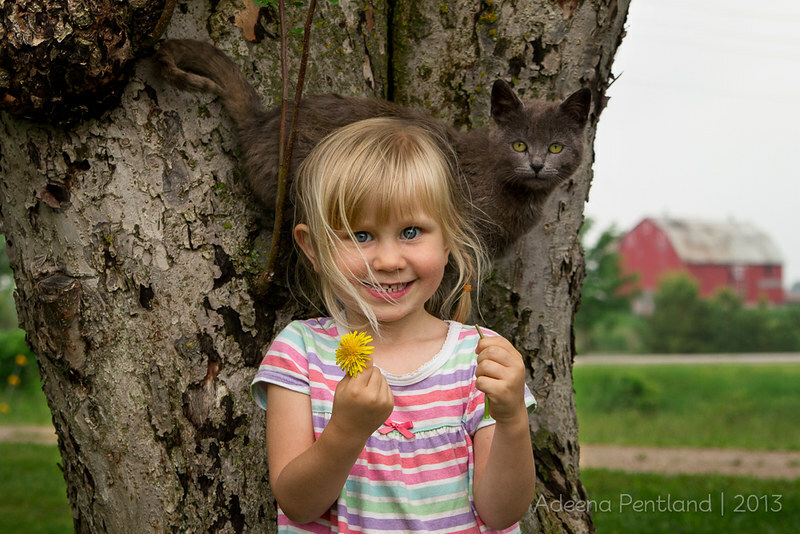 A kitty, a dandelion and a girlie under the apple tree. Didn't even see the cat at first. Stealth kitty! Awesome.